Through our Public Interpretation program of Walks, Hikes, and Demos SCVN helps visitors learn about and experience the wonders of Sabino Canyon, the Santa Catalina Mountains, and the Sonoran Desert. We provide Lizard walks complete with binoculars and Lizard Guide, Wildflower hikes on Mt. Lemmon, on-site demonstrations, and discussions of local flora and fauna. We also offer field activities, like panning for garnets in Sabino Creek, which are fun for children and adults alike. 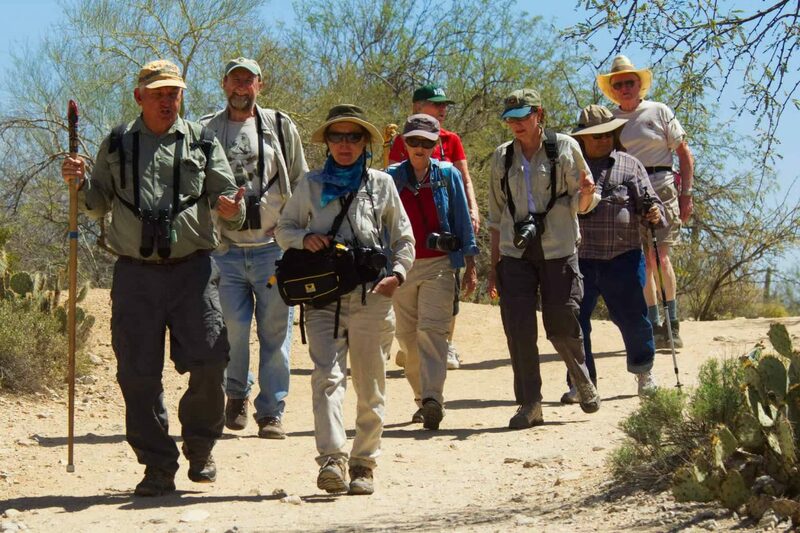 Use the form at the bottom of the page if you would like to request a guided nature walk, talk, or demo, or if your organization is sponsoring an event in the greater Tucson area that’s focused on our canyon or desert. For community groups and local organizations, our naturalists will lead walks, talks, or demos about the flora and fauna of the area. This service is offered to youth groups like the Girl Scouts and Boy Scouts, to small school groups who cannot participate in our regular elementary program, or to organizations that want to take their employees on a special experience in the Sonoran Desert.